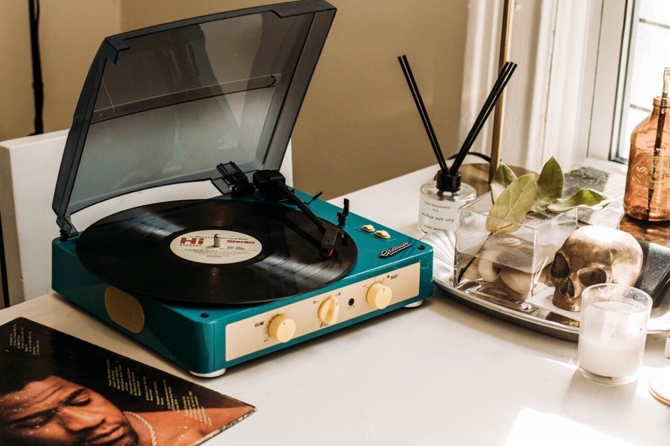 We have featured a number of turntables and decks this year, but these are our top 10 most popular record players of 2017. File under cute. That’s the selling factor here. Well, not the only one. 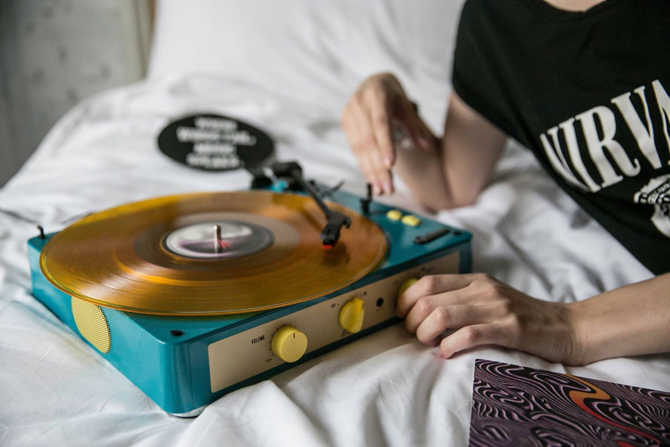 This deck also plays your vinyl (of course) at three speeds, as well as Bluetooth connectivity for streaming and has a slot for your headphones. Cheap at under £80 too. Taking inspiration from Dieter Rams is no bad thing. That’s what Ion Audio has done here, specifically from the iconic Snow White’s Coffin design from the 1950s. 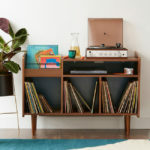 This certainly isn’t that piece, but it does have a deck, DAB and FM radio plus built-in speakers and plenty of inputs. The Cruiser design comes in numerous finishes, but this exclusive Urban Outfitters model was the most popular this year. It’s a plush velvet finish for a pretty standard player with three-speed playback, Bluetooth and full-range speakers. If it’s not for you, there are plenty of others to choose from. 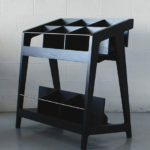 This is an odd one, not least because of all the ‘tech’ squeezed into this unit. 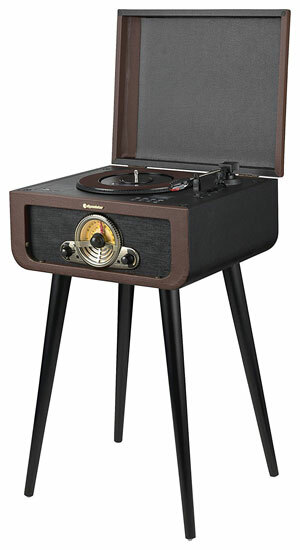 Yes, it is a record player, spinning your vinyl at three speeds. 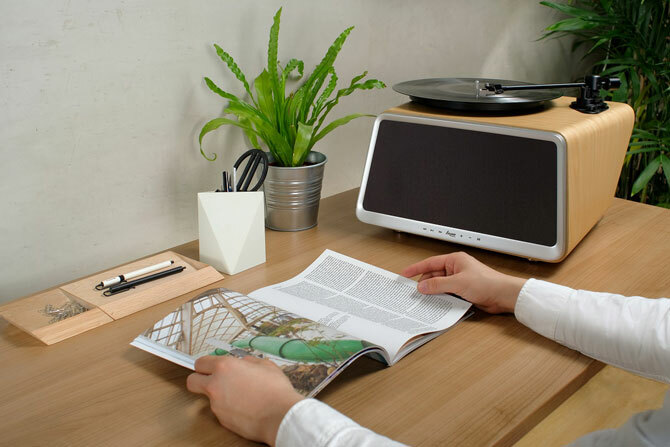 But this unit also hides a CD player, FM and MW reception, Bluetooth and an AUX-in input, as well as USB and SD connectivity. Remember the ‘music centre’ your parents might have had? This is a modern-day equivalent. 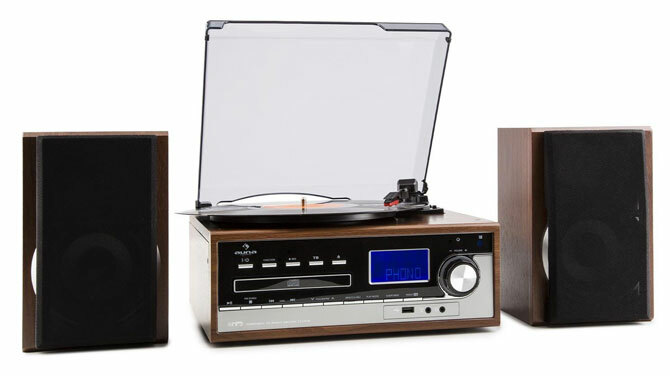 A 1970s-style piece with belt-driven record player, a side-mounted cassette deck, a USB port for music playback, an audio-encoding function of record, cassette, CD and AUX on USB, FM radio with 10 memory slots, an AUX input for connecting external audio devices such as MP3 or CD players and computers, as well as plenty of other connectivity options and a pair of 2-way bass reflex speakers. Well, this was a love/hate design. I’m surprised to see it feature so high! 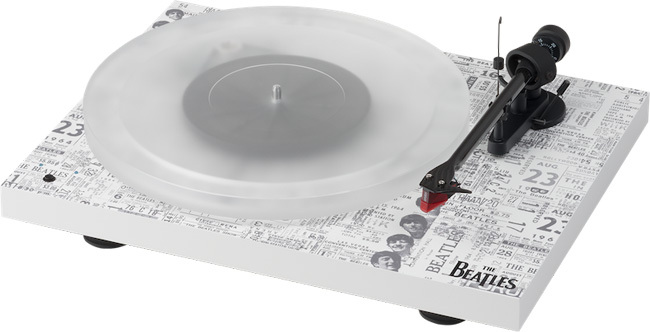 That’s probably down to a love of the Fab Four and the fact that Pro-Ject make good quality decks. 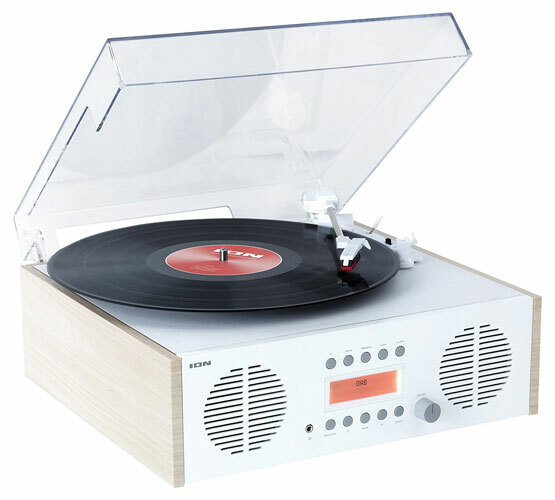 The turntable used is a Debut Carbon Esprit SB with an Ortofon 2M Red stylus, carbon tone-arm, an acrylic platter and built-in electronic speed control for switching speeds. The design is The Beatles in their early days. Limited edition too. Sanyo did something similar some decades back. Now GPO Retro is bringing it back. 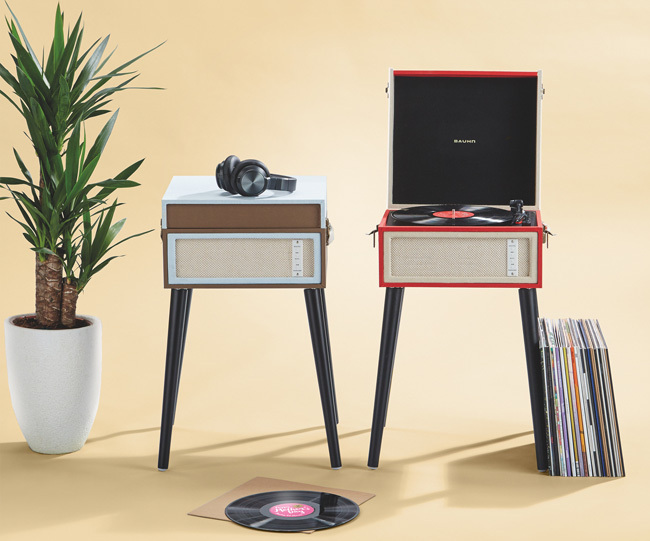 That’s an audio system that looks like a formal briefcase, packing in a three-speed turntable, 2x built-in speakers, Bluetooth, a rechargeable Lithium battery, a 45rpm adaptor, the usual connectivity and a cassette deck on the side. 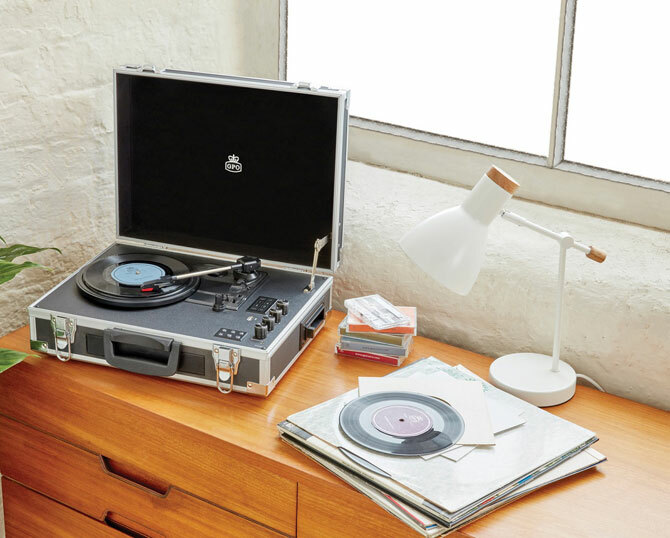 You can also record your vinyl and cassettes to a USB stick. A lot of functionality for a modest footprint. File this under quirky. But in a good way. 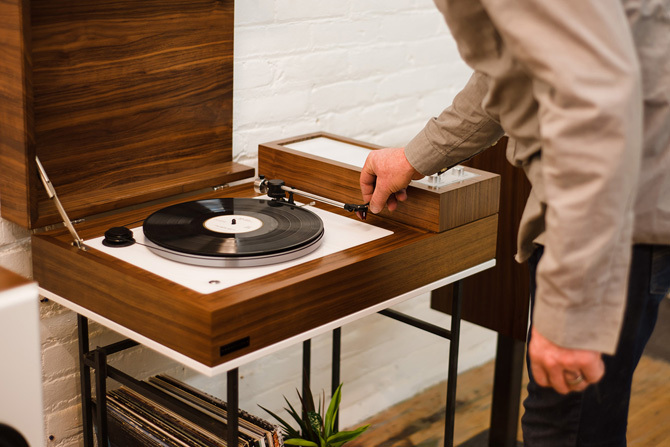 A new concept and a Kickstarter project, this is an audiophile deck with a 70w speaker, along with the option to play digital formats over Wi-Fi, Airplay and Bluetooth, so Spotify (and others) can stream through it. We love it. 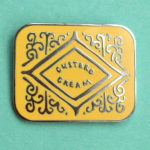 This is a magnificently stylish piece of kit. 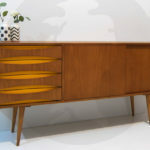 This handmade piece has that 1970s, hi-fi look but within has a 300 watts per channel Wrensilva amplifier, a turntable, Sonos functionality, a 3.5mm audio jack, and a set of RCA inputs to connect anything from a cassette deck to a digital box. Not cheap, but lovely if you can afford it. The most popular was the cheapest. Maybe that’s why it made it to the top of the pile. Its not a bad thing though – and I know from experience as I have one. 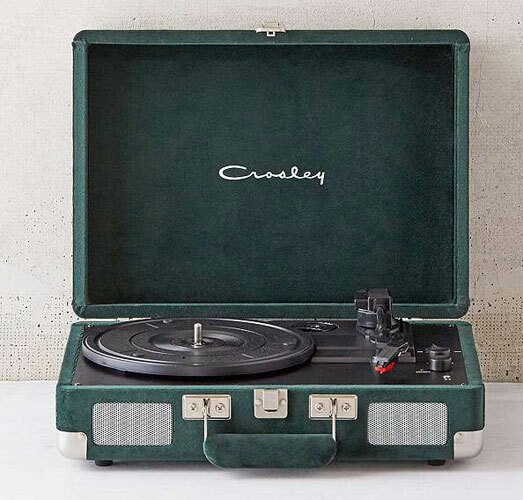 Not audiophile quality, but plays vinyl fine, has a strong 1960s look and packs in a rechargeable battery and Bluetooth too. Sadly Aldi no longer carries it, but you can find it elsewhere.